Abq Jew ® Blog: Halloween: Druish or Jewish? Just Suppose: Suppose, Abq Jew says, suppose there were a holiday whereupon small groups of Jewish extortionists marauded through eruv-endowed neighborhoods, demanding kosher treasure and else threatening mild mayhem. If it fell on a Sabbath Eve, what would such a holiday be called? 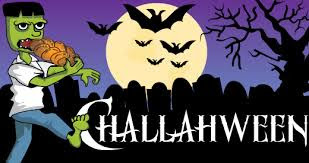 This year, the ancient holiday of Halloween falls on Motzei Shabbat - which means that a) there will be no Challahween celebrations; and b) religiously observant Jewish kids are free to participate in the traditional trick-or-treat ritual with no concern about the status of the eruv. Here in America, some Jewish kids do Halloween and some Jewish kids don't. There's a real machloket (disagreement) about doing or not. The parents can explain giving out Halloween treats as darchei noam or derech eretz. But should their kids collect? Here is what the Jewish Virtual Library has to say about the origins of Halloween. Halloween, also known as All Hallows' Eve or All Saints' Day, originated as a celtic holiday that was celebrated by Druids, the priests of a religious order in ancient Gaul and Britain. The celebration marked the end of summer harvest season and pumpkins, cornstalks and other similar products of the earth were used in the feasting and merrymaking. In the eighth century, the Catholic Church realized it was failing in efforts to keep Christians from celebrating the pagan holiday and decided to incorporate Halloween into the Christian calendar. The holiday would be celebrated on the first of November as a day honoring all saints, hence the name All Saints' Day. The night before, October 31, was called "holy [hallowed] evening," and many of the old pagan, Druid practices were retained in the Christian celebration, including the tradition to dress up as ghosts, goblins, witches, fairies, elves and other mythical creatures. Doesn't sound too Jewish, does it? The Jewish Virtual Library proclaims participation to be prohibited - against halacha. While many American non-Orthodox Jews do tend to celebrate the non-religious traditions of Halloween, halacha prohibits Jewish participation in the holiday. The reasons for the Jewish prohibition vary. Mainly, Jews are forbidden by the Torah to partake in "gentile customs," a prohibition derived from Leviticus 18:3. Jews are also not allowed to partake in non-Jewish or idoltorous [sic] worship, per the Ten Commandments. 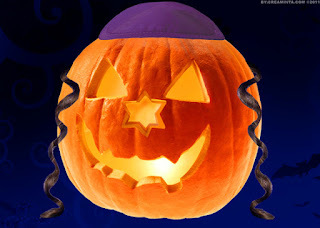 Halloween, having both pagan and Catholic backgrounds, is deemed a gentile festival and is therefore forbidden to Jews. That being said, despite Halloween's religious origins most Americans consider the holiday to be a national tradition - much like Thanksgiving - without the attachment of any religious significance. Many American Jews have adopted this interpretation of the tradition with the understanding that the holiday has only a secular meaning. However, the Library claims this interpretation is wrong. And that, you might say, is that. 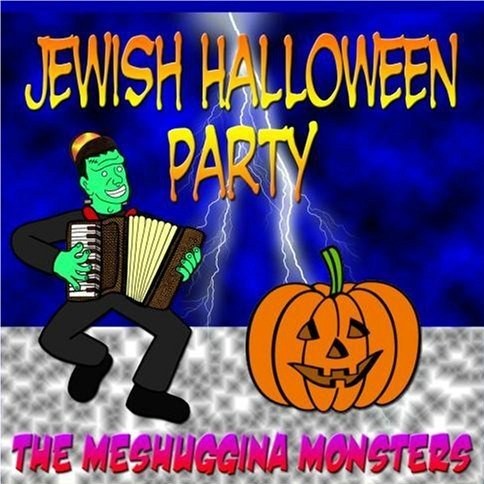 You'll find a long list of articles and blogs with such titles as Can Halloween Be Made Jewish? and A Halloween With Jewish Values? and No Trick, All Treat: Halloween Isn't Bad for the Jews. And then there is the plethoric exuberance of Jewish Halloween / Monster Mash Dance Parties held by various Jewish social groups all over North America. Please note the instrument of torture in Franky's hands. What, no banjo? Monster Mash is a 1962 novelty song and the best-known song by Bobby "Boris" Pickett. The song was released as a single on Gary S. Paxton's Garpax Records label in August 1962 along with a full-length LP called The Original Monster Mash, which contained several other monster-themed tunes. The "Monster Mash" single was #1 on the Hot 100 chart on October 20–27 of that year, just before Halloween. It has been a perennial holiday favorite ever since. It was on the top 50 in November of 2014. Pickett and [fellow band member Lenny ] Capizzi composed Monster Mash and recorded it with Gary S. Paxton, pianist Leon Russell, Johnny MacRae, Rickie Page, and Terry Berg, credited as "The Crypt-Kickers". The song is narrated by a mad scientist whose monster, late one evening, rises from a slab to perform a new dance. The dance becomes "the hit of the land" when the scientist throws a party for other monsters. Pickett also impersonated horror film actor Bela Lugosi as Dracula with the lyric "Whatever happened to my Transylvania Twist?" One final (don't you wish?) Abq Jew thought. Purim is our holiday. 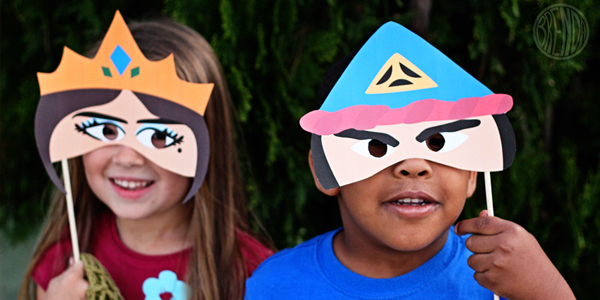 A holiday that - like Halloween - includes masks, music, and make-believe. A holiday that promotes mishloach matanot, giving gifts to each other. Please compare Purim to Halloween, which promotes trick-or-treat, taking gifts from each other. Which would you teach your children? Abq Jew firmly believes that Purim does it right.